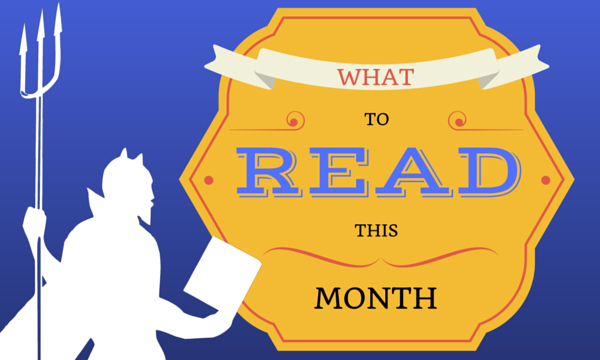 Looking for something new to read? Check out our New and Noteworthy and Current Literature collections! Burger by Carol J Adams. The burger, long the All-American meal, is undergoing an identity crisis. From its shifting place in popular culture to efforts by investors such as Bill Gates to create the non-animal burger that can feed the world, the burger’s identity has become as malleable as that patty of protein itself, before it is thrown on a grill. Carol Adams’s Burger is a fast-paced and eclectic exploration of the history, business, cultural dynamics, and gender politics of the ordinary hamburger. You can read an excerpt of Burger here, and the author’s defense of the veggie burger here. Buttermilk Graffiti : a Chef’s Journey to Discover America’s New melting-pot cuisine by Edward Lee. American food is the story of mash-ups. Immigrants arrive, cultures collide, and out of the push-pull come exciting new dishes and flavours. But for Edward Lee, who, like Anthony Bourdain or Gabrielle Hamilton, is as much a writer as he is a chef, that first surprising bite is just the beginning. What about the people behind the food? What about the traditions, the innovations, the memories? A natural-born storyteller, Lee decided to hit the road and spent two years uncovering fascinating narratives from every corner of the country. Listen to chef Edward Lee talk about his journey across America here. Eating Animals by Jonathan Safron Foer. Part memoir and part investigative report, Eating Animals is the groundbreaking moral examination of vegetarianism, farming, and the food we eat every day that inspired the documentary of the same name. Faced with the prospect of being unable to explain why we eat some animals and not others, Foer set out to explore the origins of many eating traditions and the fictions involved with creating them. Traveling to the darkest corners of our dining habits, Foer raises the unspoken question behind every fish we eat, every chicken we fry, and every burger we grill. You can read more about the book here. Gastrophysics: The New Science of Eating by Charles Spence. Why do we consume 35 percent more food when eating with one other person, and 75 percent more when dining with three? How do we explain the fact that people who like strong coffee drink more of it under bright lighting? And why does green ketchup just not work? The answer is gastrophysics, the new area of sensory science pioneered by Oxford professor Charles Spence. Now he’s stepping out of his lab to lift the lid on the entire eating experience — how the taste, the aroma, and our overall enjoyment of food are influenced by all of our senses, as well as by our mood and expectations. You can read a review of the book here. The Potlikker Papers : a Food History of the Modern South by John T. Edge. Like great provincial dishes around the world, potlikker is a salvage food. During the antebellum era, slave owners ate the greens from the pot and set aside the leftover potlikker broth for the enslaved, unaware that the broth, not the greens, was nutrient rich. After slavery, potlikker sustained the working poor, both black and white. In the South of today, potlikker has taken on new meanings as chefs have reclaimed it. Potlikker is a quintessential Southern dish, and The Potlikker Papers is a people’s history of the modern South, told through its food. Beginning with the pivotal role cooks and waiters played in the civil rights movement, noted authority John T. Edge narrates the South’s fitful journey from a hive of racism to a hotbed of American immigration. He shows why working-class Southern food has become a vital driver of contemporary American cuisine. You can read more about the book–and the complexities to telling history through food– here. 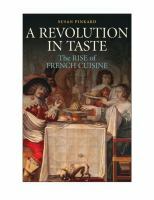 A Revolution in Taste: The Rise of French Cuisine 1650-1800 by Susan Pinkard. Modern French habits of cooking, eating, and drinking were born in the ancien regime, radically breaking with culinary traditions that originated in antiquity and creating a new aesthetic. This new culinary culture saw food and wine as important links between human beings and nature. Authentic foodstuffs and simple preparations became the hallmarks of the modern style. Susan Pinkard traces the roots and development of this culinary revolution to many different historical trends, including changes in material culture, social transformations, medical theory and practice, and the Enlightenment. You can read more about Pinkard’s exploration of french culinary history here.